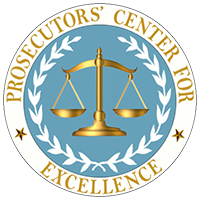 Prosecutors’ Center for Excellence is a think tank that supports prosecutors’ Best Practices Committees and provides expertise and research on policy issues relevant to prosecutors. PCE provides guidance for the development of new Best Practices committees through foundational documents and strategies to establish statewide support for the committee. 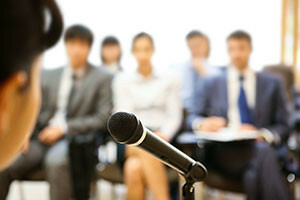 PCE supports existing statewide prosecutor Best Practices Committees through research, agenda development and outreach. PCE regularly consults with members of statewide Best Practices Committees to provide assistance on the issues addressed by those committees and other issues related to the governance of a Best Practices Committee. PCE provides policy support to the National District Attorneys Association’s members and is co-chair of its Best Practices Committee. PCE provides technical assistance and consulting on issues relevant to prosecutors. In partnership with researchers, PCE conducts research on prosecution related issues. Contact PCE for more information. PCE presents nationally on statewide prosecutor Best Practices Committees and PCE’s core issues, including ethics, eyewitness identification, witness intimidation, body worn cameras and the evolving role of the prosecutor. See recent presentations. PCE provides advice to prosecutors about training on PCE’s core issues, including suggestions on training resources and materials. The PCE Policy Library is a comprehensive electronic library of articles and reports on policy issues of interest to prosecutors. Updated regularly, the library resides within Prosecutors’ Encyclopedia (PE). PE is an extensive wiki for prosecutors containing cases, resources by topic, transcripts, training materials, expert witness videos and much more. Current prosecutors can apply for access at: MyProsecutor.com. For those with a PE account, go to the PCE Policy Library here. PCE provides guidance to prosecutors on the resources available in the library and can help with other research on PCE’s core issues. PCE regularly distributes articles of interest on policy matters and provides short overviews of relevant topics in the “Did You Know?” series to current prosecutors. Prosecutors may apply to receive this service here. PCE works with prosecutors on developing policies and sharing polices among prosecutors. The development of a Model Body Worn Camera policy with the California District Attorneys Association is an example of a policy collaboration. Prosecutors from thirty states have already participated in various regional meetings around the country on current issues facing prosecutors and how to develop and sustain a Best Practices Committee.